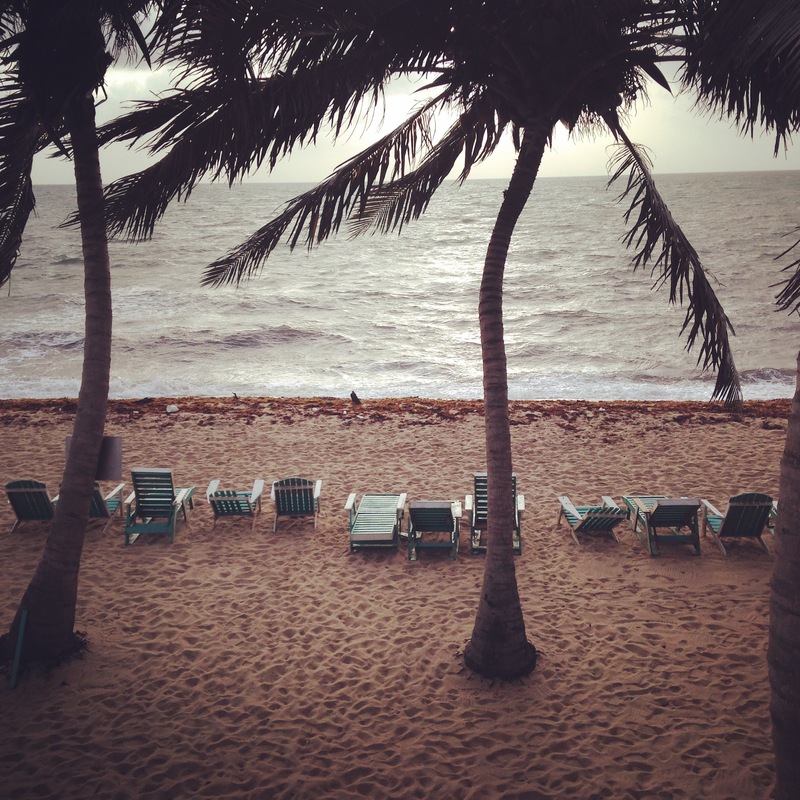 The wind off the Caribbean whips at the shore and carries wisps of my hair on the breeze. The salt air cools skin sticky with humidity and brings repeive from sun that bears down through breaks in clouds. 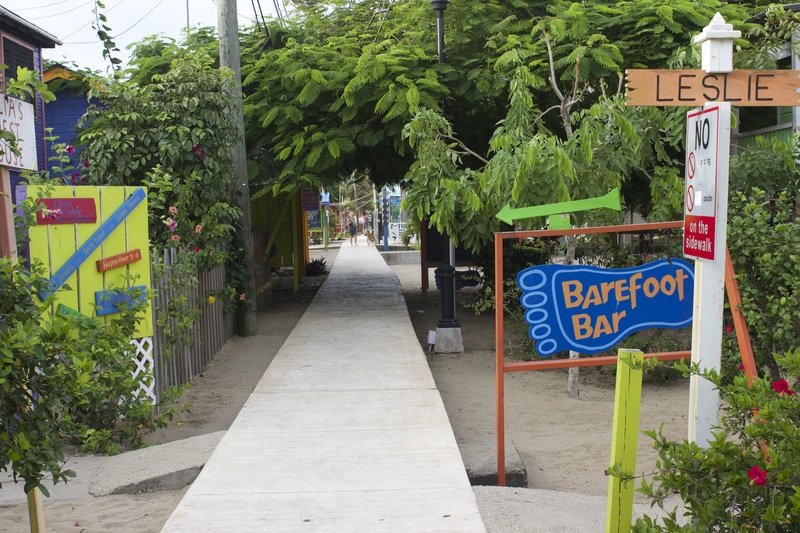 A neatly narrow and slightly elevated wooden boardwalk carries us over the sand winding through little shops and restaurants. 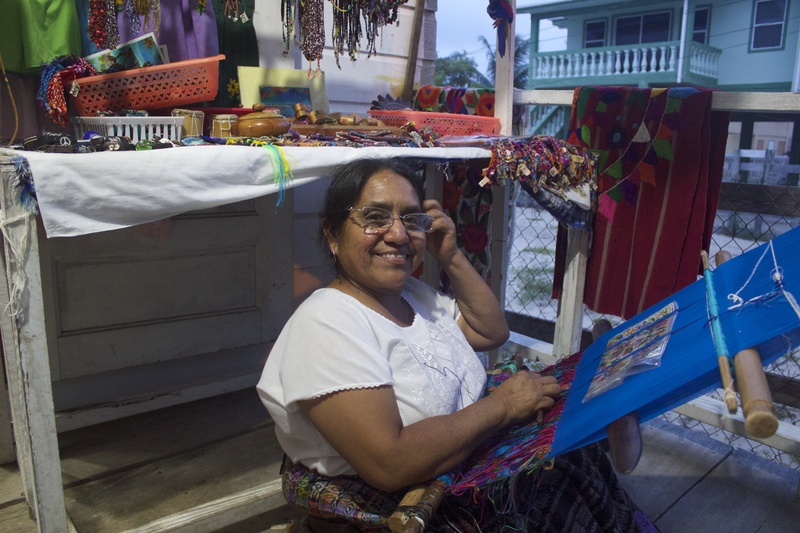 Bright colors jump out of shop fronts while someones grandmother sits on the porch with a handweaving loom fastened around her waist, diligently making pieces of woven fabric in colors so bright they seem to sing. The bass in the ever present reggae music pounds somewhere down by the water, while tourists sink into the heavy limestone sand. Handcarved rosewood bowls and oil paintings are watched over by small eager dogs who’s owners hang nearby in hammocks. We are hungry and our stomachs beg us for something familiar, something easy and simple. Around the bend and behind the orange hibiscus, there is a litte wooden house on stilts, icicle lights adorning the front porch. Men are hanging loose in the doorway, sagging from the heat and barely propped up by the porch railing. Inside, a pizza oven turns out circular dough baked to crispy, golden perfection, cheese bubbling on top as the conveyor belt delivers our hot, familiar desires one by one. Rick’s Cafe is the new endever of Boston native Rick, who has been cooking in Placencia for 7 years. He also offers pasta, subs, and some really fine looking, fresh chopped and tossed salads, rare to the area. Oh, and beer and wine. We are suddenly beyond grateful to the knowledgable staff at the SeaSpray hotel, who looked in our eyes, saw our hearts, and sent us to this little slice of home. It really doesn’t get much finer than front porch dining in a little wooden house overlooking a charming boardwalk on the Caribbean Sea. 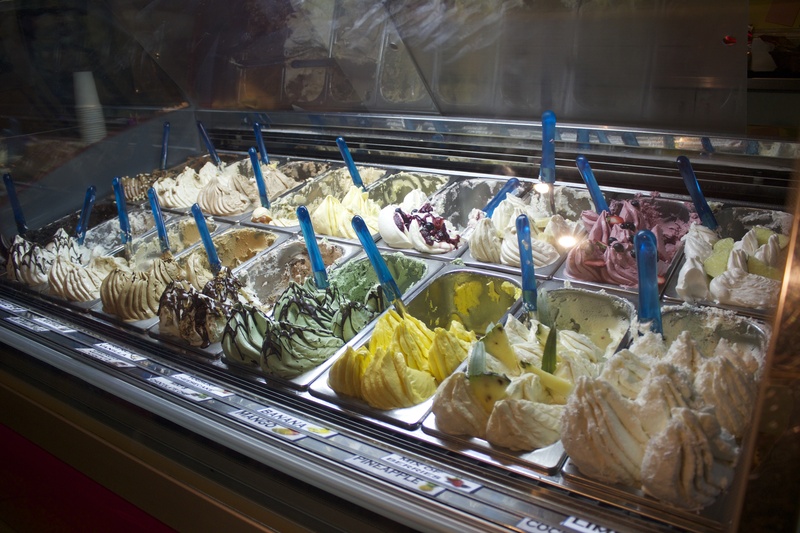 Later, we rush the door of the gelato shop like a sweaty mass of super fans pushing their way toward some star, or just regular folks seeking respite from the sweltering heat. As we pile inside the angels sing and the air cools our glistening skin. Tiny mounds of sweet frozen perfection hold us captive in their air conditioned lair, before melting too quickly over our tongues. Tuttifrutti Gelateria is run by Tiziana and Lorenzo, a couple from France, and if it’s not the best gelato in the world, you’d never know it. We are here for several days and lobster is in season, and abundant. I never did have just plain good ol’ boiled lobster, cracked, sucked and dipped in drawn butter, but I did have it a few new ways. Creole lobster served with a neatly formed pyramid of steamed rice, stewed beans to the side and a kind of cubed tomato Creole sauce baked on top of large and luscious chunks of meat. A challengingly large lobster burrito stuffed with fresh lettuce and cheese into a perfectly thick homemade flower tortilla covered with salsa. Grilled and seasoned, served with dirty rice and macaroni salad. 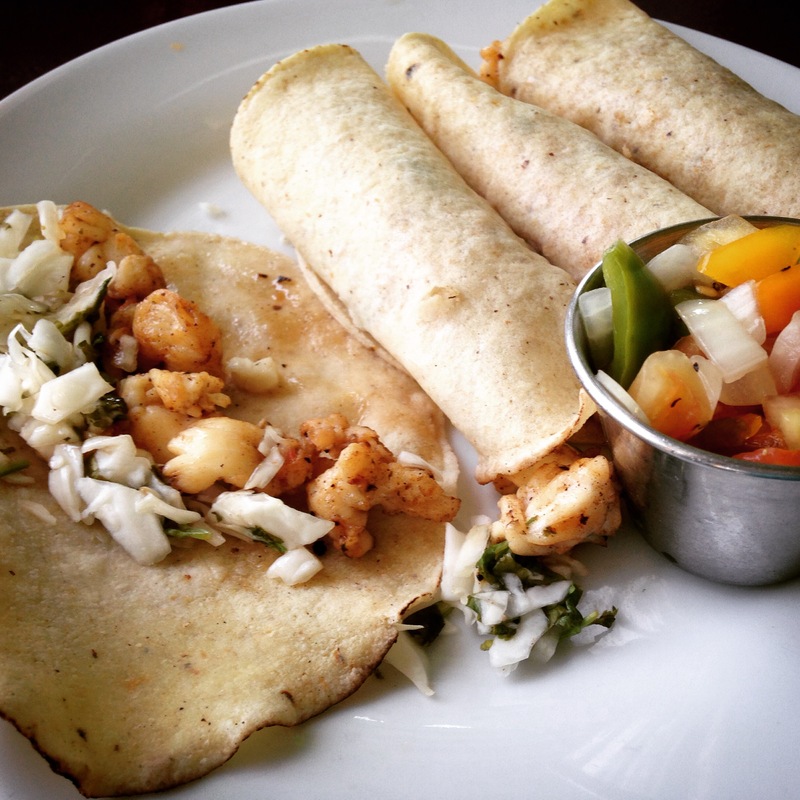 But my favorite, the lobster tacos, comes later. It’s early and the masses are still sleeping off hangovers, licking their wounds from youthful debauchery and a night of idiocies leading to the drunken debacle of my roommate, who single handedly woke the entire hotel in her intoxicated belligerence (a common occurrence). 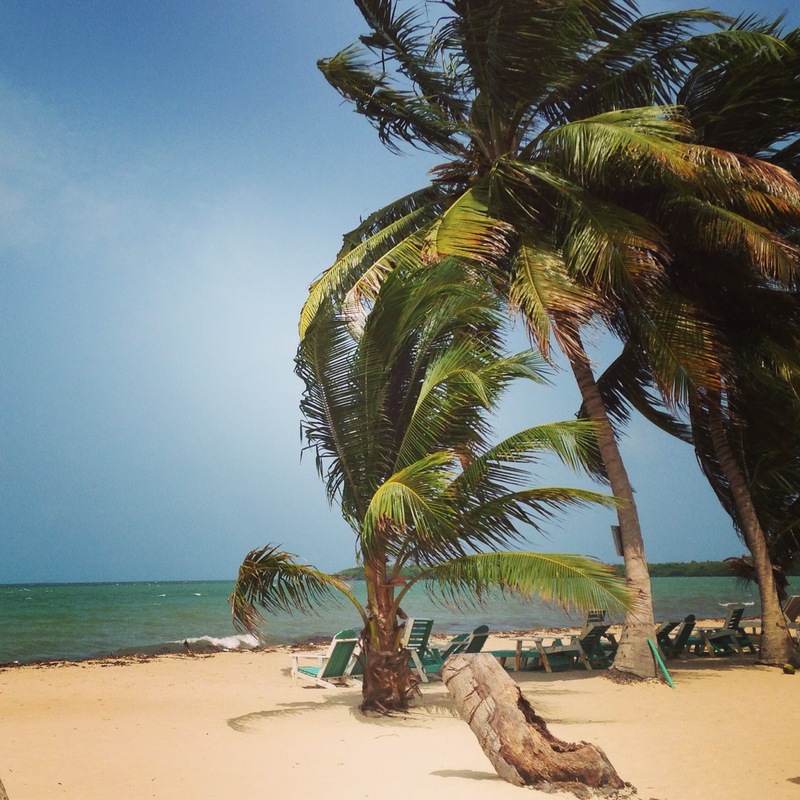 The wind is blowing with all it’s might across this tiny Belizean peninsula, palm trees threaten to throw coconuts from their boughs, and the ocean is restless and angrily turns up sand from it’s bowels while ships sit docked. I welcome the strong wind hurling salt air and sand fragments at my skin. It is refreshing and helps me wake after a night of little sleep. I am also grateful for the empty streets and dark buildings. For a while, it’s as if I’m the only one here, queen of the road, sole worshipper of the rising sun. It’s peaceful and stark. Slowly, the birds begin chirping and the first signs of life appear, bright eyes and bushy tails emerge from hidden paths. A woman out for a run, a couple looking for an early bird coffee shop. 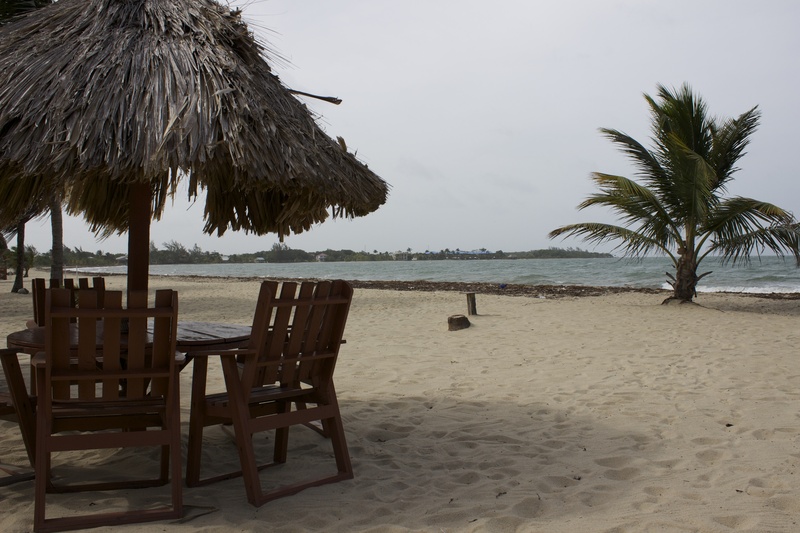 A cup of joe, and a smoothy of fresh Belizean fruit are set on a heavy wooden table painted with flowers. The prospect of lobster for lunch creeps into my mind, and I can taste the sweet, tender meat. Oh Liz-you have such a talent-you should truly consider writing a travel book or something I can buy and read again!